As darkness falls in the Lake District, the bright lights from hundreds of walkers' head torches cascade down the ridge line of Catbells, in Cumbria last night during the Lakeland Festival of Light. 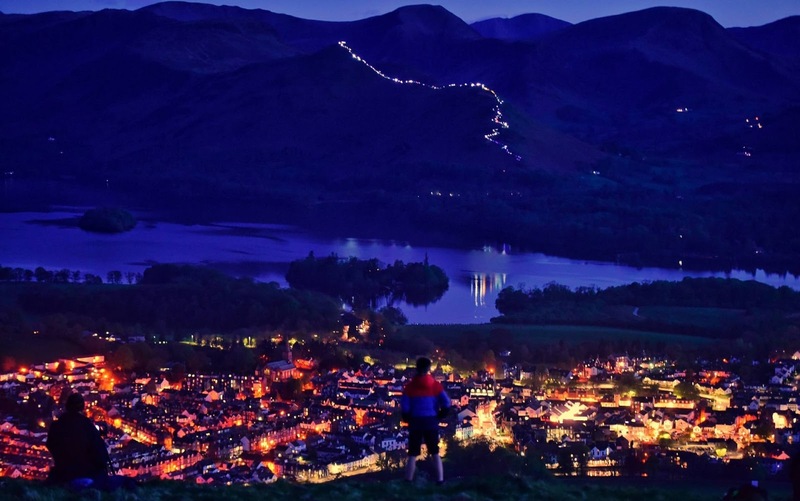 Hundreds of volunteers scaled the famous Lake District fell at sunset to form a chain of light from the 1,480ft summit to the edge of Derwentwater near Keswick. The event was organised by the Lakeland Mountain Guides to raise funds for PHASE worldwide, a charity supporting projects in Nepal.